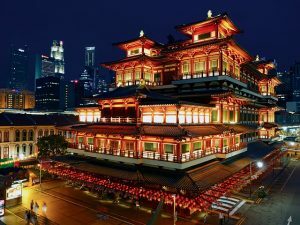 Lau Pa Sat Festival Market is a huge food centre located close to Singapore’s Financial District. 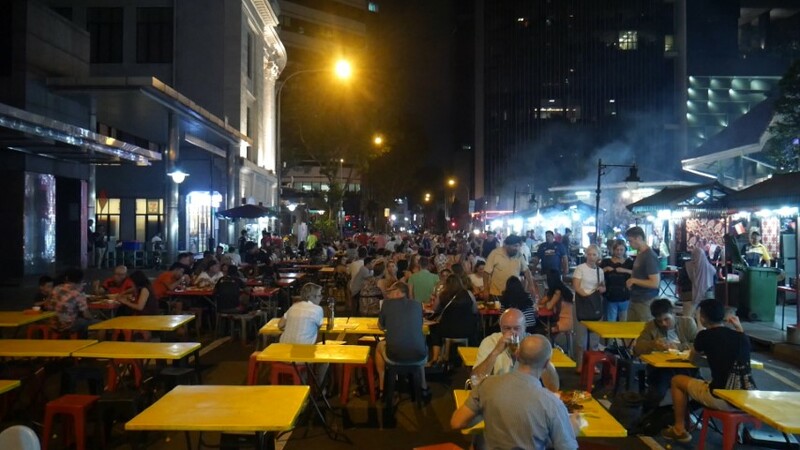 It is an undercover market with around 50 stalls selling a great range of food from all over Asia. The market is housed in an old historical building which dates back to 1894. 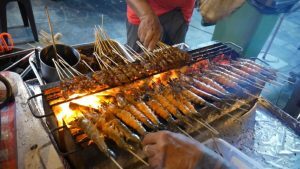 At 7pm, the adjoining Boon Tat Street is closed to traffic and a night food market opens up with 15 stalls selling the best satay in Singapore. The prices for the satay is very cheap. I had 15 sticks of satay (Chicken, beef and lamb) and it only cost S$10.50. Everyone should visit Newton Food Centre atleast once during a visit to Singapore. At Newton Circus they specialise in the freshest seafood in Singapore. Prices are a bit higher at Newton Circus but you will get the best seafood and it will be cheaper than many of the seafood restaurants in Singapore. Our pick of the best food at Newton Circus is the Singapore Chilli Crab and the huge grilled Tiger Prawns. All the seafood is on display at the front of the food stalls, packed on ice allowing you to choose your seafood before they take it away to their kitchens in the back. 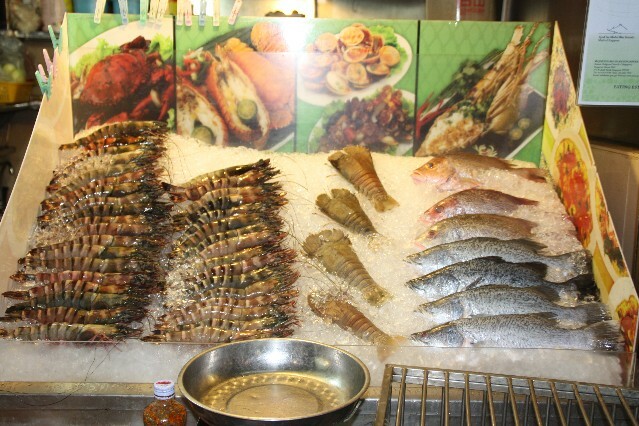 If seafood is not your thing then there are plenty of other stalls selling food other than seafood. There are few places servicing the best grilled chicken wings in Singapore. Newton Circus is an open air food court so not the best during the rain. 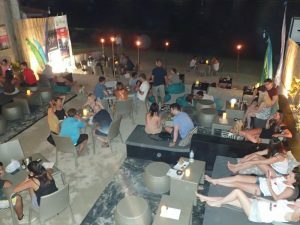 On a clear night then Newton Circus is perfect for dining under the night sky. There are a few sections undercover. 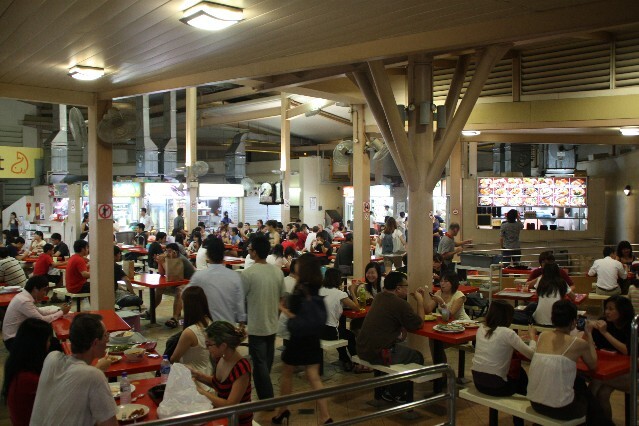 Sometimes referred to as the Smith Street Hawker Centre, Chinatown Complex is the largest hawker centre in Singapore. 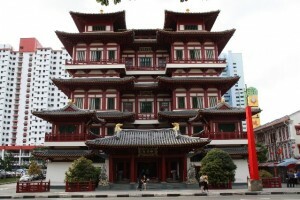 Located on Smith Street in the heart of Singapore’s Chinatown. 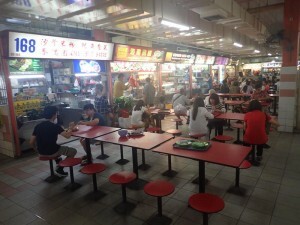 There are 287 food stalls at Chinatown Complex Food Centre. On the ground floor is a huge undercover market place selling all the stuff you would expect in markets, t shirts, clothing, shoes, handbags, sunglasses and a heap of Chinese art. 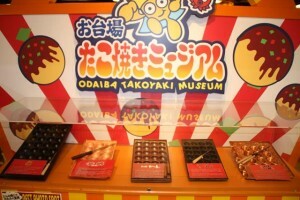 Go up 1 level to the 2nd floor and this is where all the food action is. A huge warren of food stalls down loads of alleys with small tables and chairs. 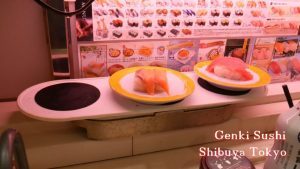 If you are unsure of what to eat then my suggestion is to look for the food stalls with the queues of locals waiting to order food. Join the queue and order what everyone else is ordering as you know it will be good. My favourite dish at the Chinatown Complex is Chicken Rice known as Hainan Chicken Rice. There are a few hawkers here selling Chicken rice. My favourite is the Super Mummy Hainanese Chicken Rice stall at number 02-169. Only $4.50 for their chicken rice which comes with the delicious chicken breast meat sliced, a bowl of rice, a bowl of chicken stock soup and a choice of Chinese vegetables or bean sprouts. 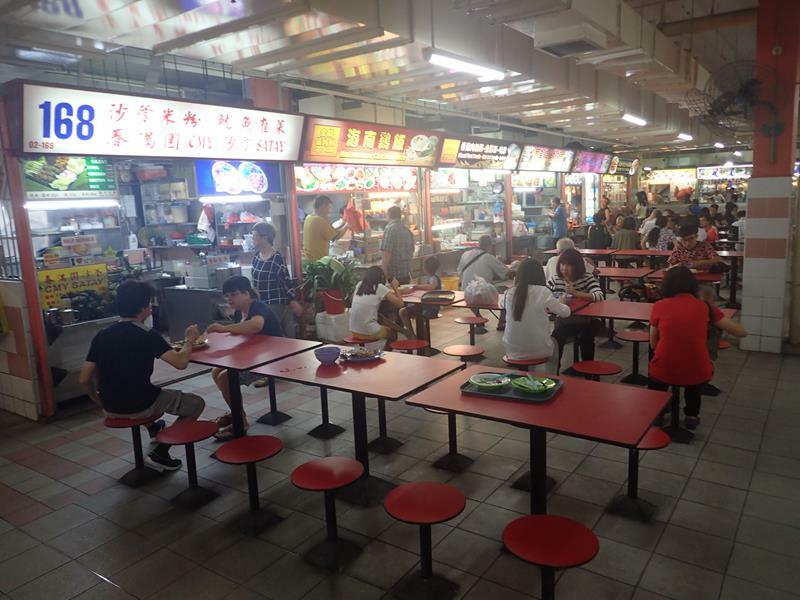 Read more about Chinatown Complex Food Centre. 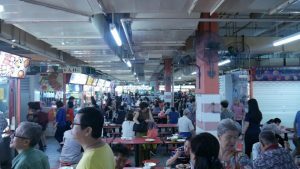 Tiong Bahru Food Centre has 83 food stalls serving up all the famous Singaporean food like laksa, prawn mee, Hainanese chicken rice, fried kway teoh, braised duck and roasted pork. 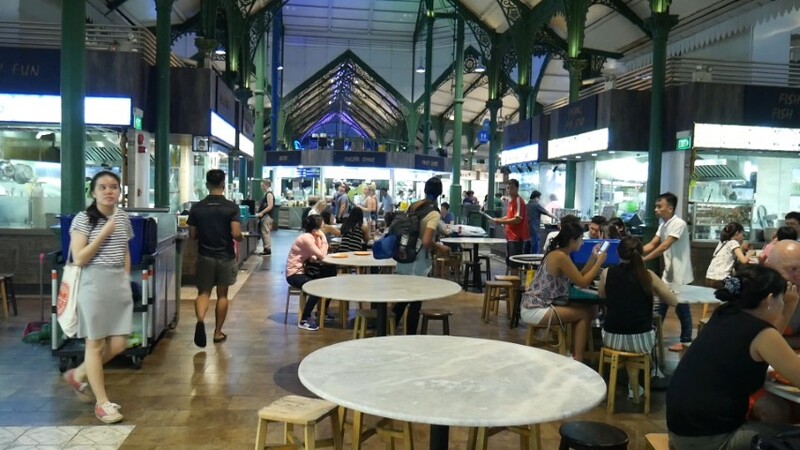 The food centre is located on the 2nd floor of the Tiong Bahru Market, with Singapore’s best wet market located on the ground floor. 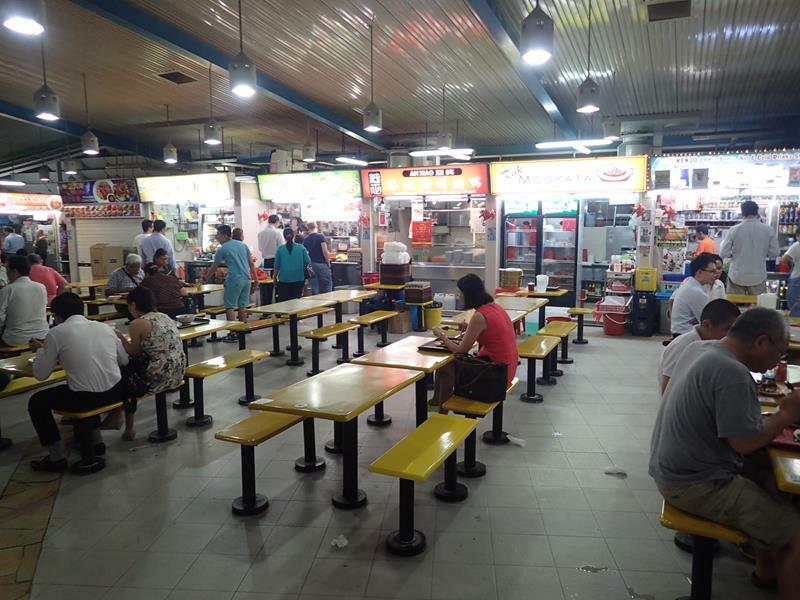 Zion Riverside Food Centre is one of my favourite hawker centres in Singapore. 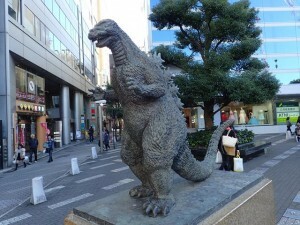 Not a lot of tourists visit here, even though it is only 5 minutes by taxi from Orchard Road and Scotts Road. 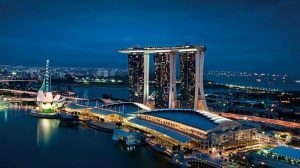 You will find mostly local Singaporeans eating the excellent food here. 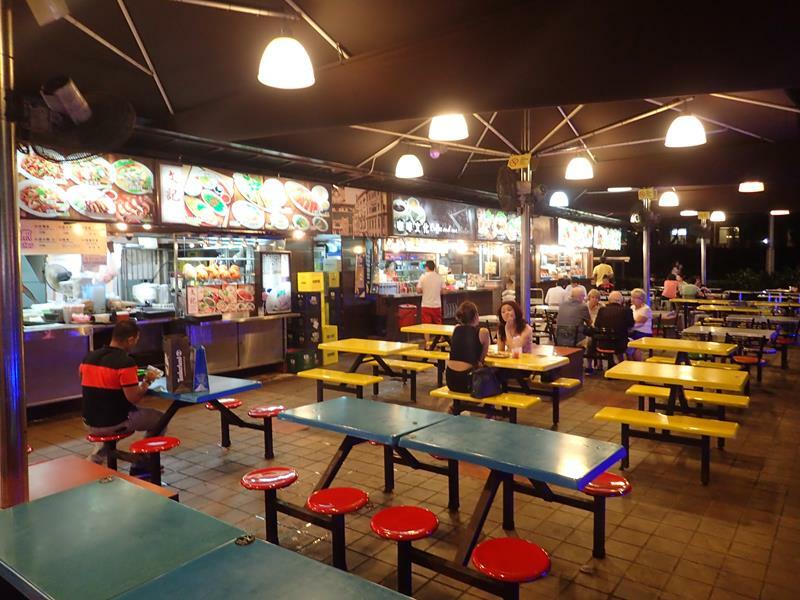 With around 30 food stalls to choose from, there is a choice of local Singaporean food, Chinese food, Indonesian food and Thai hot pots. There are 2 food stalls at Zion Riverside Food Centre which always has a queue waiting for their food. 1 is the 2nd last food stall down the back, next to the Indonesian food stall. Here they sell Singapore’s famous Tiger Prawns. Either grilled or cooked in a noodle soup. The other food stall with a queue is the Zion Road Fried Kway Teow. This is the only dish they serve, fried kway teow. There is always a queue of 10 or more people waiting for these tasty stir-fried rice-cake flat noodles. 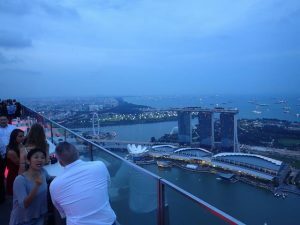 Located right on the Singapore river, though there is not such a nice view over the river. The river is quite narrow and no boats are passing by. 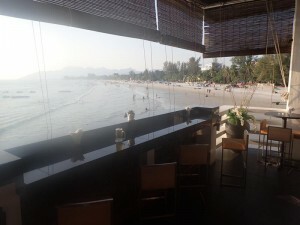 But you don’t come here for the view, just the awesome and cheap food! 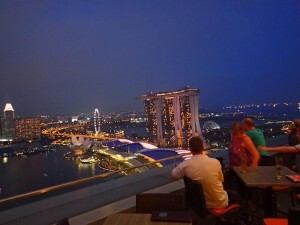 And the beers are some of the cheapest in Singapore, just S$7 for a large Tiger beer. Great value! 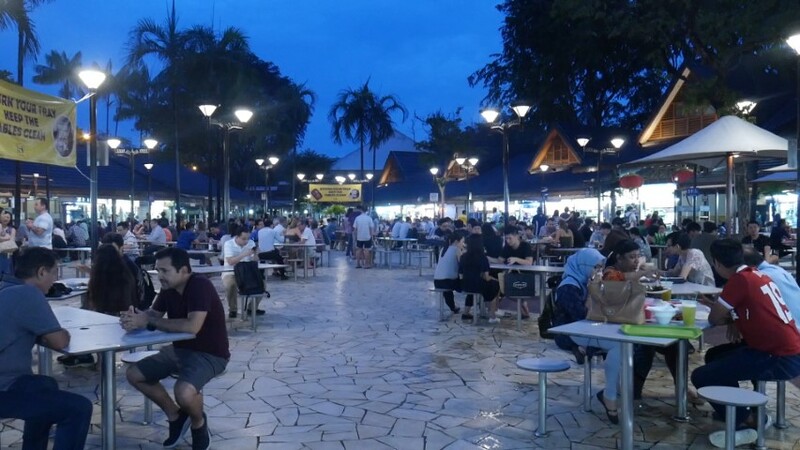 Holland Village Hawker Centre is another large open food court in the heart of Holland Village which is only around 10 minutes away from Orchard Road by taxi. With over 50 food stalls to choose from. 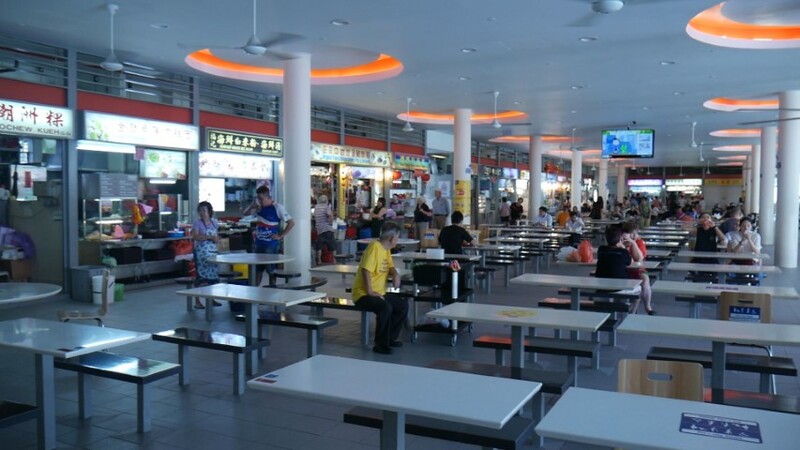 Meals at the Holland Village Food Centre cost anywhere from S$3.50 – S$5. 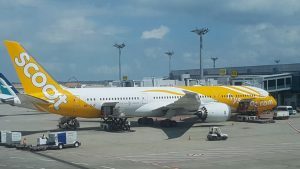 Some of the best food to eat here is Nasi Lemak, Black Peppered Beef Hor Fun, roasted duck noodles or if it breakfast time go for the Kaya Toast, a real traditional Singaporean breakfast. 60’s Old Street Hawker Food Centre is a small open air food court on the corner of Orchard Road and Cavenagh Road, right between the Concorde Hotel and Orchard Plaza. 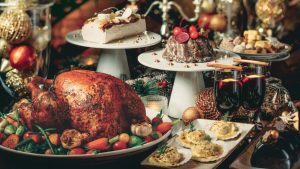 With only 5 different food stalls with a range of Chinese food like roast duck or noodle soups and some other stalls selling Singapore’s famous local foods like grilled tiger prawns, chicken rice as well as our top pick the black carrot cake or white carrot cake. The 2nd last stall at the end sells all the local Singapore food and makes the best white carrot cake (best omelette I have ever had!). Most of the meals are around S$5 so cheap as! 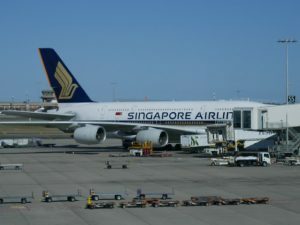 As with most hawker centres in Singapore, there is a drinks stall and a girl coming around taking the orders for your drinks and delivering the drinks to your table. A large Tiger beer costs S$7.90, a large Heineken is S$8.80. 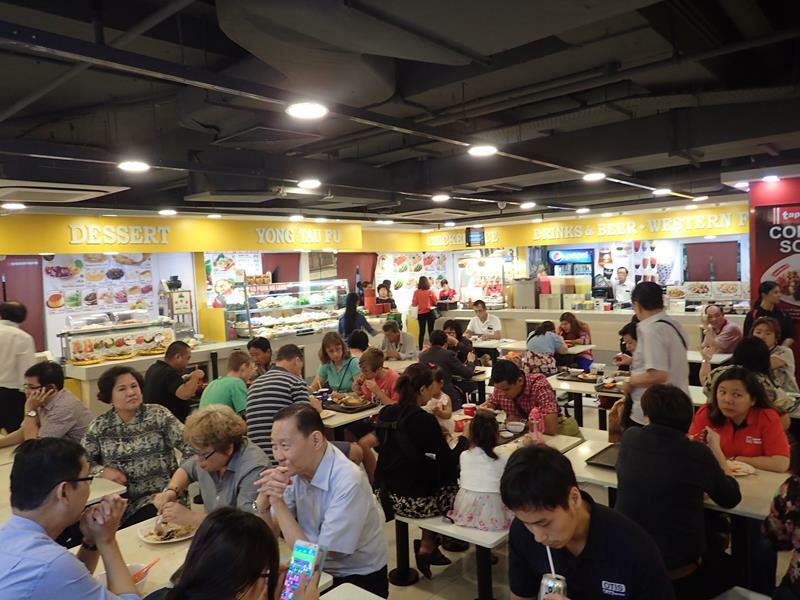 If you are looking for an air-conditioned food hall in Singapore then head to the Asia Food Mall in the basement of Lucky Plaza at 304 Orchard Road, the next block down from the Marriott Hotel. 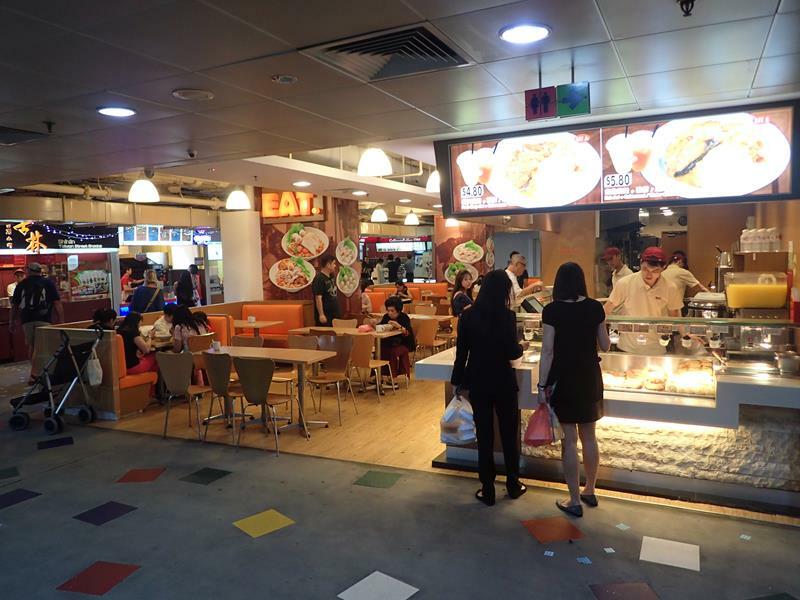 Asia Food Mall has a great range of food stalls selling food from all over Asia. Local Singaporean food, Chinese food, a few Indonesian food stalls selling nasi goreng and Padang food, Korean BBQ and a stall with traditional Filipino food. 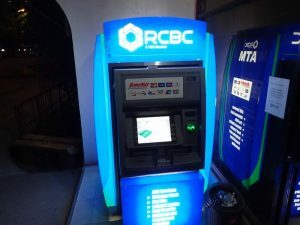 They even have a Jollibee (famous fast food in the Philippines). Jollibee always has a long queue at lunch times of the Filipinos living in Singapore. 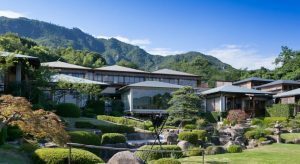 There is also a McDonald’s which is open 24 hours on Friday and Saturday night and any night before a public holiday. Located on the lower ground floor of the Far East Plaza, right next door to the Grand Hyatt Hotel on Scotts Rd is another air-conditioned food centre. 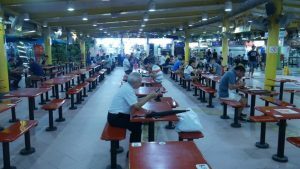 With 12 different food stalls available serving a range of Chinese food as well as Indonesian food. Our pick is the Punggol Nasi Padang food shop that serves great Indonesian food from Padang. Be very wary at Newton Circus only two for dinner and was the most expensive meal ever had that includes dining in London, we think they must have had there finger or fist on the scales. Very small eaters we were warned by our taxi driver to be careful. 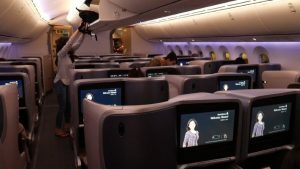 Cost us about $140.00, but had no one who we could complain to at the time.